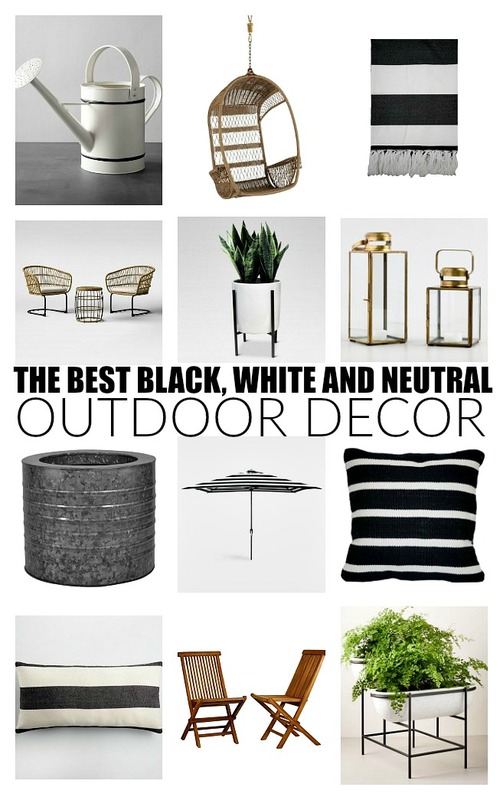 Stylish and affordable black, white and neutral decor to spruce up your outdoor space! 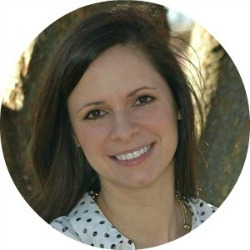 It's Friday and time for another edition of Friday Favorites! 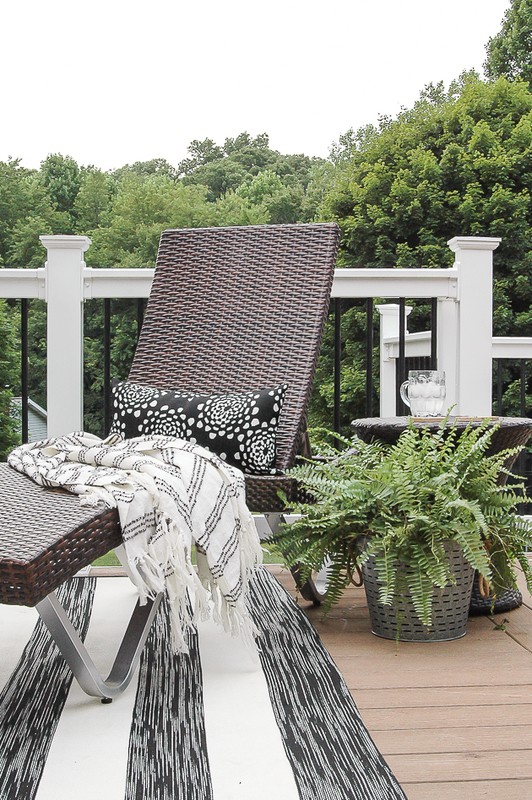 Last year, I spruced up our deck with a new umbrella, rugs, cushions, and decor. It was a major improvement from the previously torn cushions and moldy rugs, but there was still so much more that needed to be done. 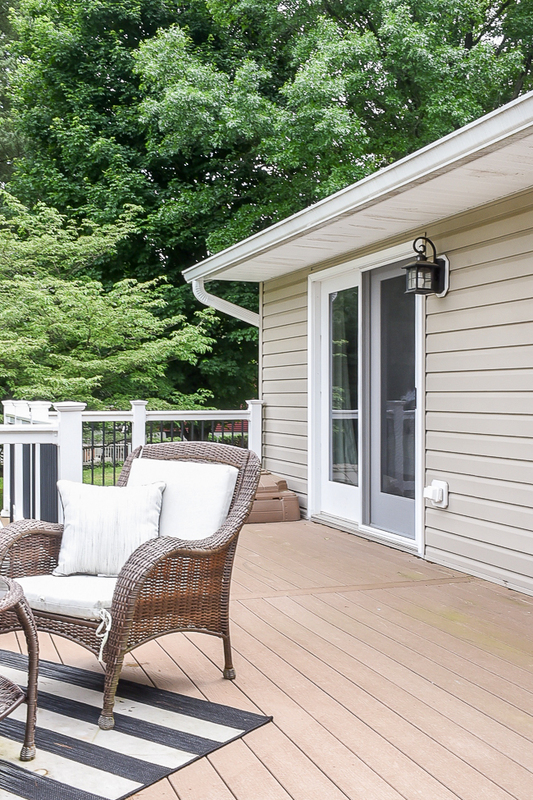 This year, I'd love to paint the exterior doors Iron Ore, add more seating and a new larger table, install solar lights and overall make it a clean and enjoyable space for our family to enjoy. 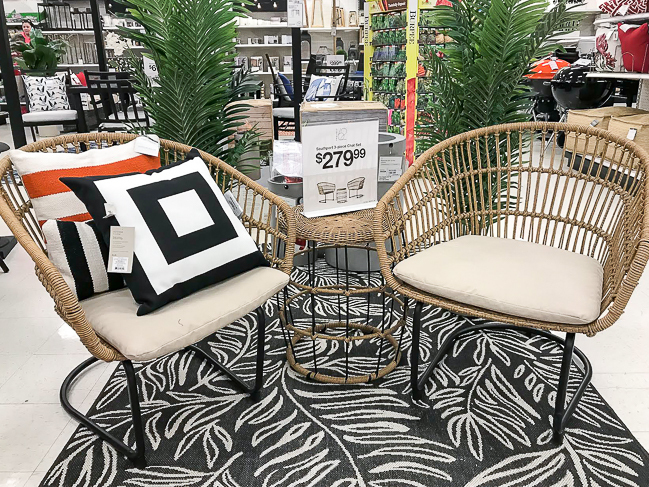 A few weeks ago, I stopped in Target and was immediately drawn to this three-piece wicker conversation set. We have a door that leads from our master bedroom to the deck and it's currently just wasted space. I'd love to spruce it up with a cute conversation set, a new rug, a few throw pillows and some fresh greenery. Here's the unedited, mold covered space so you can get an idea of the area I am talking about. We just bought a new power washer and plan to whip this space into shape this weekend. For those wondering, my husband bought THIS power washer with THIS attachment for the deck. It was on mega sale last weekend (about $100 off! ), so let's hope it works. 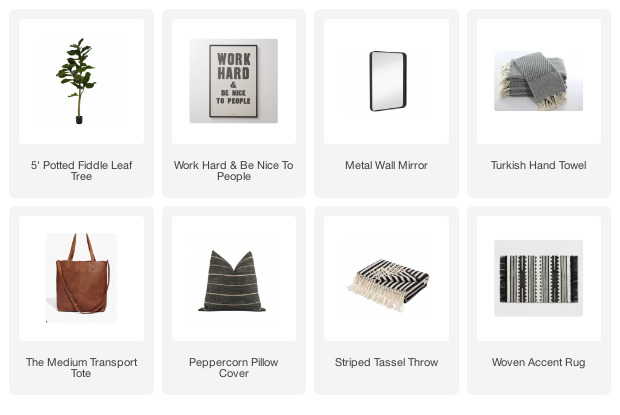 Of course, I'll be keeping with my theme and love for neutrals and contrast, so you'll be sure to see a lot of black, white and wicker. 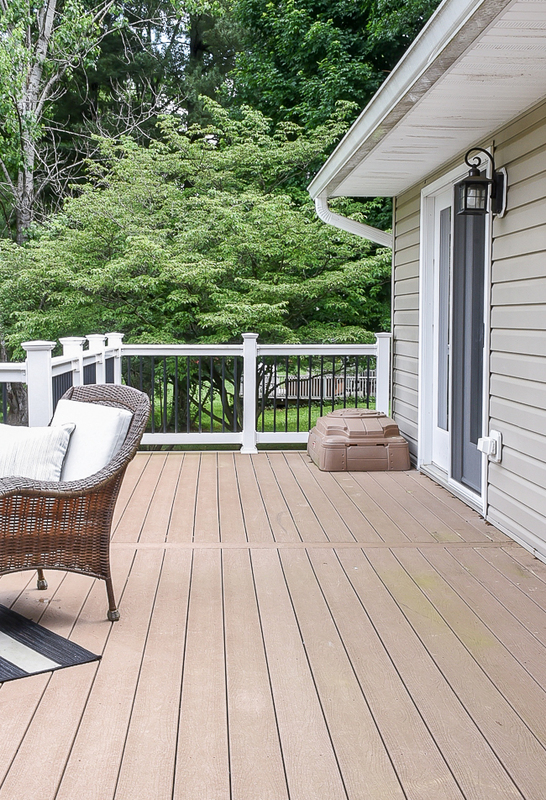 Here are a few favorite finds that caught my eye and may make an appearance on our deck. I'm really pushing for a hammock or hanging wicker chair, but I'm not sure if our space or budget allows for it. Can you tell I have a thing for stripes? 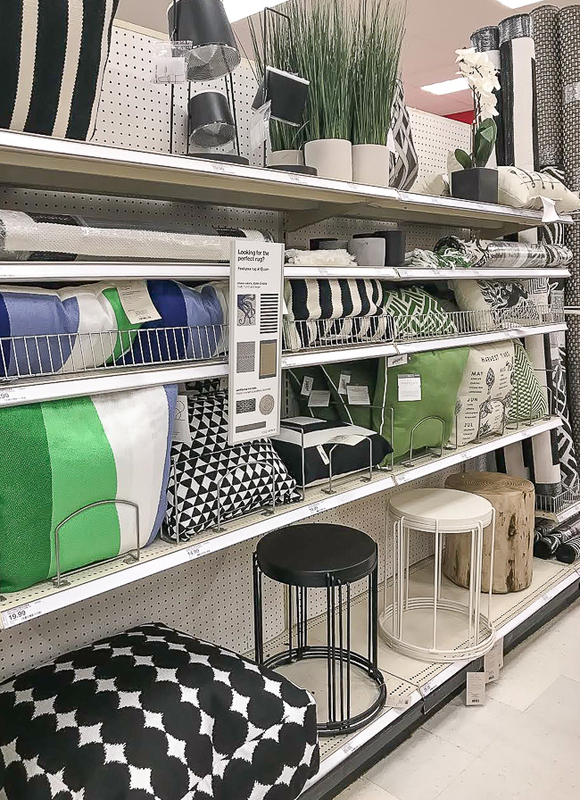 I already own a few of the items including this outdoor throw and pillow and love that they can work both indoor and out. And how cute is that adorable white watering can? 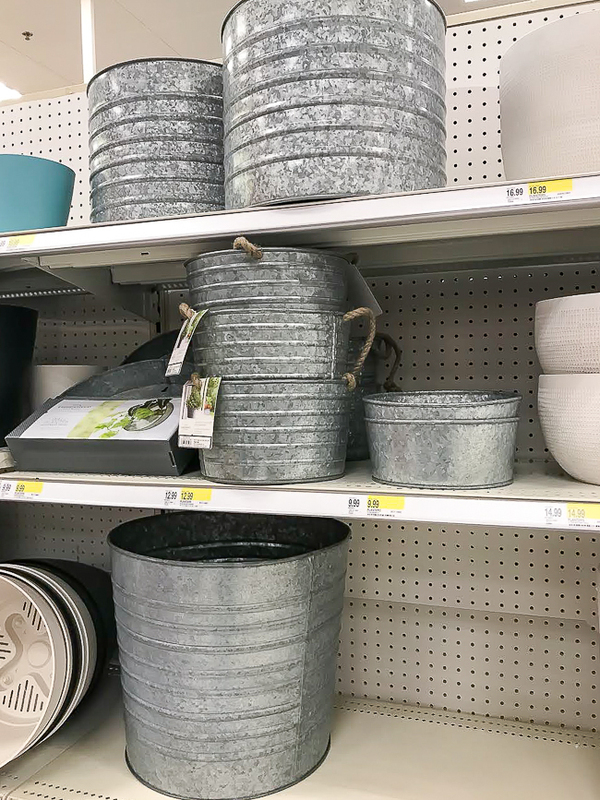 Maybe having a pretty watering can to fill up and carry around will actually help me remeber to water my plants haha.